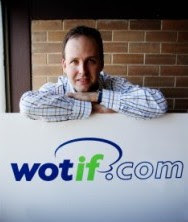 Sometime ago I wrote how Wotif.com 's policies were facilitating unsafe credit card practices by insisting on third parties taking photocopies of photo ID so customer charge backs could be disputed. Needing to use their usually "best in the business service today", I rang and asked to speak to the CEO Robbie Cook but was told that he was too busy to talk to customers. I was also told that my concerns were unfounded, that they were Credit Card company policy [absolutely not true] and that my concerns were unfounded. Well, having experienced unauthorised credit card charges by hotels on more than one occasion, I beg to disagree. However, what company has a protocol that insists that their CEO is "too busy" to talk to a good customer - I have used wotif.com over the last 5 years at about $1,000 a month which would equate to easily $50,000 or more.